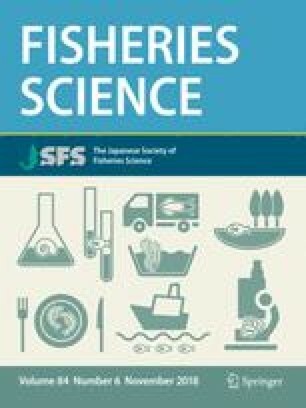 Two common live feeds, the Brachionus plicatilis species complex SS-type and L-type were used to assess whether there were any differences in protein hydrolysis and digestive trypsin activity in first feeding Japanese flounder. There were no significant differences in hydrolysis activity at 2, 3 and 7 days after hatching (DAH). At 5 DAH, hydrolysis activity was significantly higher in larvae fed SS-type (p < 0.05) at 50 kDa in 1.5- and 3-h incubation whereas L-type treatment had not completely hydrolyzed the proteins after 3 h at the same molecular weight. Larvae fed SS-type had significantly higher (p < 0.05) trypsin activity at 3, 5, 6, 7 DAH. Contribution of live prey to trypsin fraction in larvae showed significantly higher (p < 0.05) fraction for SS-type at 5 DAH (2.18 ± 0.44%) and 6 DAH (2.04 ± 0.29%) and the effect of exogenous trypsin from live prey was relatively low when compared to the total trypsin activity in larvae. This study discusses the differences in ability to digest proteins in Japanese flounder when fed different rotifer morphotypes and highlights the adaptability of this species to alternative rotifer morphotypes during its early developmental stages. The online version of this article ( https://doi.org/10.1007/s12562-018-1241-2) contains supplementary material, which is available to authorized users. We would like to acknowledge the assistance from the members of the Laboratory of Larval Rearing Management and the Laboratory of Marine Glycobiology at the Faculty of Fisheries, Kagoshima University. We would also like to thank Professor Atsushi Hagiwara of Nagasaki University for providing the rotifer stock population to conduct this study and also Professor Manabu Ishikawa, Mr. Oishi, and Mr. Serge Dossou of Kagoshima University in assisting with the technical aspects of this study. We would also like to acknowledge the Government of Japan and the Ministry of Education, Culture, Sports, Science and Technology (MEXT) under the Monbukakusho Scholarship for sponsoring the first author to conduct his research at Kagoshima University.